With all the ever-changing trends in wedding attire, lighting, color and decor, the one thing that has hardly changed at all is the invitation. Actual written invitations became popular to the masses shortly after World War II when rapid industrial growth gave the common person the ability to mimic the lifestyle of society’s elite. Until that time, only the super wealthy could afford beautifully printed stationery items. Now, brides and grooms can go so far as to even print their own wedding invitations, thank you, reply cards and other inserts at home. Of course I always strongly advise against doing anything yourself when it comes to something as important as your wedding. For one thing, the smallest mistake can ruin the entire project but, mostly because couples have enough to worry about without the added stress of a DIY project gone wrong. Find something that expresses your personality and/or the theme of the wedding. Ultra-formal, casual, flashy or artsy… finding the right design is not as easy as it sounds. Spend plenty of time picking out invitations that reflect your personalities and give the guest a hint of what to expect at your affair. Save The Date. This is what gives them the first clue to your wedding style. It does not have to be the same exact style as the invitation but it should have a similar feel. Inserts. Make sure that each invitation has a reply card with pre-paid postage. If you desire, you can also add a map, itinerary and some include an insert that has neighboring hotels and other points of interest for out of town guests. Thank You(s).Don’t forget to order Thank You Notes to match the invitations. This is the one detail that is often overlooked… hard to believe. Quantity. Always order extra invitations and additional envelopes on top of that. The rule is to divide total number of guests by 2 and then add 25. But, this formula will not work for everyone. A good cushion is to have 10 additional invitations in case there is a last minute change. Font. Don’t let anyone tell you that most fonts all look the same. Monotype Corsiva is way different than French Script. If you are in doubt, defer to the expertise of your invitation specialist. Postage. Never rely on chance. Take the invitation to the post office, have it weighed and measured with all inserts in place. When you drop them off, make sure you ask how to make sure they are hand stamped. Irregular sizes like square envelopes always require more postage. Determining the postage is especially important if you decide on boxed invitations. Boxed invitations are small packages and will be weighed and measured differently than letters. Stamps. You can order stamps online using your own photos or you can use an attractive stamp from the post office. Seasonal stamps are nice, especially the ones that have some sentimental meaning to you. Calligraphy. Sometimes thought of as a lost art, calligraphy is something that cannot be mimicked by any computer program and is without a doubt, the most elegant form of addressing your guests’s envelopes. The invitation is the first and last impression your guests will have of your wedding… make it as unique and special as you are! The purpose of good manners is to make other people feel comfortable. For centuries, manners have been dictated by society’s standards of conduct and this has worked out pretty well. Unfortunately some people never got the memo. In order for your wedding guests to feel comfortable, try to avoid these ‘most common etiquette mistakes’. 1) Watch – I know that being late to your own wedding may seem inconceivable but, sometimes outside forces take over and you can’t control them. However, there should always be a plan in place to avoid being late. If something unforeseen occurs, make sure you are in contact with someone at the ceremony site to make an announcement at the time the wedding is supposed to start and give updates until you arrive. Being late for no other reason than you can’t keep track of time is rude in any situation, especially your wedding. 2) Save the Date – Sending someone a “Save the Date” card means they are also invited to the wedding. Both lists should be in sync. If you make a mistake and send someone a Save the Date and do not invite them, call them once you find out you have erred and apologize. If you send them an invite but had somehow omitted them from the Save the Date list, a call would be nice. 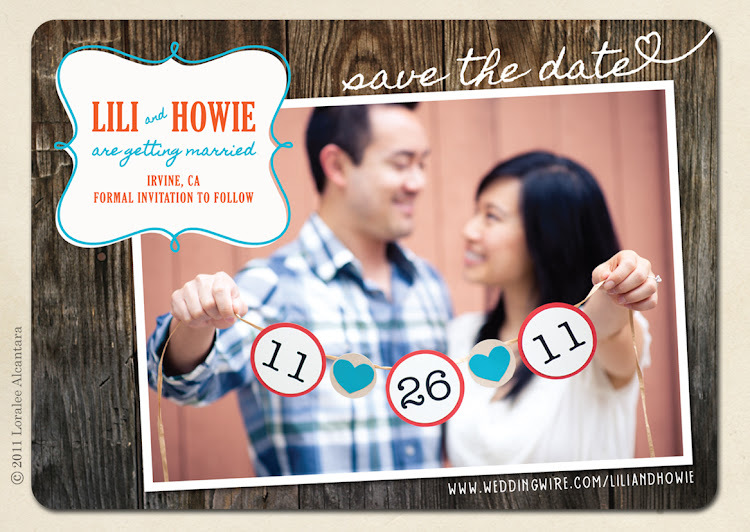 In reality, Save the Date cards are a relatively recent custom so there is nothing that says you have to send them. Although nice, they are not completely necessary so dont fret if you choose not to send them. 3) Invitations – Send the invitations 6- 8 weeks before the wedding. Sending the invitation two weeks before the wedding is rude and it makes the guest think they were an afterthought. If the invitation you sent came back to you for any reason, call the invited guest and explain to them what happened. 4) Church – Having a boombox instead of live music (strings or organist) is a huge mistake. This small expense will ‘class up’ your affair by leaps and bounds. Having boxed music at the ceremony seems a bit tacky, no? 5) Thanks – Sending Thank You Notes in a timely manner shows that you care. It shows that you are aware of your guest’s gift and you appreciate it. Waiting for nearly a year (or more) to send out a Thank You Note is completely inconsiderate. 7) Flow – Make sure you have a qualified, trained and experienced DJ to keep things running smoothly during the reception. The last thing you need is to have people introduced incorrectly or, even worse, not at all. The DJ should have a script to work from and be well-versed on your specific wedding customs as well. A great DJ will almost certainly ensure a great reception. The best thing you can do for yourself and your guests is to ‘forecast’ problems and plan ahead. A good wedding planner and a checklist will help. If all else fails, pick up the phone and ask for help… or forgiveness, whichever you feel is in order. If the eyes truly are the window to one’s soul, your invitations are a window to what guests can expect at your wedding. 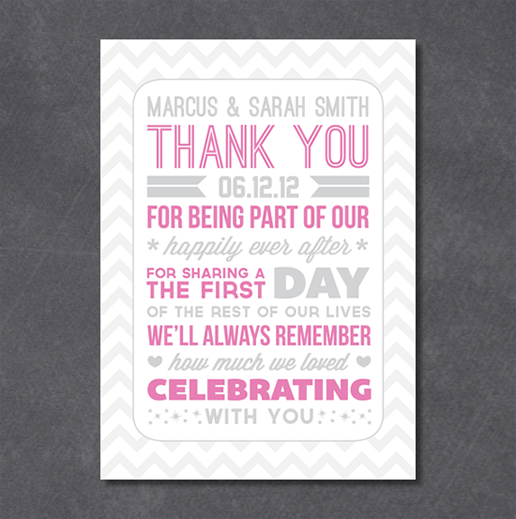 Traditional or modern, conservative or funky, there is an invitation style for everyone. The question is: With so many choices, how does one find the right style for their nuptials? Here are some easy steps to help you decide on your invitations. Do you have a specific style to your wedding? Formal, ultra-formal, casual or somewhere in between; find a style of invitation that suits the occasion. Your paper professional should be able to help you through this process, guiding you as to any specific rules governing each style. Is there a theme to the decor of the wedding? Whether you have decided on a grand technicolor scheme or if you opted on black and white everywhere, you’ll want to include that into the design of the invitation. Don’t be afraid to incorporate your colors and style into your stationery choices and try not to be overwhelmed by all of the extras. Ribbon-ties, calligraphy, engraved, photographs… and the list goes on. Take a deep breath and keep your venue, color selection and your personal style in mind. Budget is also a consideration so make sure you have all your needs in place before you decide on a particular invitation so you don’t get caught without some of the essentials. Save-the-date cards, Invitations, programs, inserts, placecards, table markers, guest book and thank you notes are all part of this important package. If your wedding has some unique elements and you are not sure how to handle the wording, always consult your invitation specialist. Don’t forget to proofread everything before you put it in the mail and check with the post office to make sure you have proper postage on the envelope. You don’t want 150 invitations coming back to you because a square envelope ( no matter how small) requires extra postage. According to all planning resources, your wedding invitations should be in the mail no less than 6 weeks before the event. Save the date cards are a whopping 6- 8 months in advance. This means it is never too soon to make plans to attend a Bridal Expo in your area. Visit www.bridalshowexpo.com for links to our vendors and to get four complimentary tickets so you can find an invitation specialist near you.